> News Product News To stay put or not to stay put? THE STAY put strategy for purpose-built blocks of flats has been with us for many years, certainly as far back as 1948 and Chapter IV of 'CP3', a code of practice that predated Building Regulations and which focused on precautions against fire in blocks of flats over two storeys. Since then, various pieces of legislation and recommendations have come and gone, leaving the Stay Put strategy firmly ensconced in our domestic scene of fire precautions. All appeared fine until the Grenfell Tower disaster concentrated the minds of the public because of the scale and horror of the loss of life. The strategy is now being put under a microscope by the media, government, legislature and the like, and all the negative aspects of it have led to public outrage: Why didn't the fire brigade evacuate the building before the fire got out of control if they were on site so quickly? How did the fire get onto the escape staircase so quickly? Surely, it's supposed to be protected by fire compartments? This 'outrage' polarises views in which the 'stay putters' stay even more 'put' in their views, citing breaches of building regulations as the sole cause of the extent of loss of life. This leaves the 'baying hounds' demanding that something or someone be deemed responsible and that heads roll. 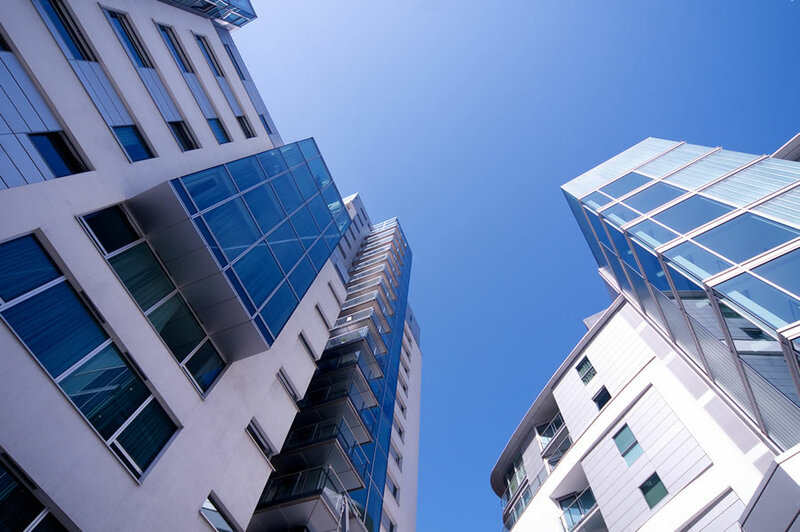 The Stay Put strategy is one in which a fire emergency in a block of flats is assumed to be confined to an individual dwelling such as a flat or apartment and not be able to spread. Each dwelling is expected to have its own working independent domestic fire alarm system fitted that only notifies the dwelling resident(s). In theory this allows the occupants to either leave the apartment and notify the fire brigade or to put the fire out. There are no connections between any of the dwellings' alarms and no requirement for a central fire alarm system. The reason that any fire from within a dwelling is assumed to be confined to that dwelling and to not be able to spread is that each dwelling is surrounded by its own one-hour fire compartment. The theory is that the fire brigade will attend well within this time and proceed to extinguish the fire, irrespective of where the premises are or where in the premises the fire is (e.g. a dwelling on the 60th floor). Furthermore, all of the escape routes/corridors are expected to be similarly protected and the fire escape staircase is similarly separated from the corridors via fire lobbies which also have a one-hour fire resisting structure. There is no requirement for any form of either a fire alarm system within the communal areas, nor an interlinked communal dwelling fire alarm system in which other dwellings are informed of a potential threat, irrespective of how large or high the premises are. BS 5839-6 is the code of practice for fire alarm system design and installation in domestic premises and BS 5839-1 covers premises that are non-domestic. BS5839-6 specifically excludes from its scope the communal parts of blocks of flats. BS 5839-1, on the other hand, says "In general, it is appropriate to install some form of fire detection and alarm system in virtually all buildings, other than very small premises..."
This appears to include the areas specifically excluded by BS 5839-6 i.e. the communal areas of blocks of flats. However, BS 5839-1 then effectively excludes communal areas from needing cover by omitting them from Annexe A (Choice of Appropriate category of fire detection and alarm system)! • The evacuation route is to be adequately fire protected to current building regulations with fire lobbies and fire staircase as appropriate; and There is to be adequate access at all times for the fire and rescue service including attendance by fire appliances. You have to go back to the 1970s and CP3 guidance (well before BS 5839) where fire alarm systems were considered undesirable on the basis of misuse, vandalism and, perhaps more importantly, the unnecessary evacuation of residents and the possible obstruction of fire-fighting operations. This position was further re-enforced by the 1990 publication of BS 5588-1 (Fire precautions in the design, construction and use of residential buildings) where it was stated that a fire alarm system should only be provided when a pre-determined response of the occupants could be assured which, it was suggested, could not be achieved in flats in normal use. These overriding reasons are currently still the benchmark. In brief, as far as the communal parts of blocks of flats are concerned it is believed a fire alarm system is unnecessary since there is nothing there to burn and that adding one will cause unneeded evacuation through malicious operation, false operation, vandalism and the like. This will cause the system to become unusable and probably inoperative and nobody will take any notice of it. The system will hinder the attendance of fire fighters if the building is evacuated since the escape staircase will be clogged up by persons trying to escape which could jeopardise the safety of inhabitants, especially if they are on the same corridor as a flat that is on fire. Let's consider the following scenario. I live on the 15th floor of a large block with 200 private apartments and one fire staircase. I have a large west facing balcony with a large amount of timber decking as do all the apartments below. I know what a smoke detector looks like and I notice smoke detectors on the corridors of my apartment block and am reassured that the building has some form of fire alarm system fitted in addition to the smoke alarms in my apartment. I believe this because there is a fire alarm control panel near to where the concierge sits in the main entrance to the building and there is a break glass call point by the front door. Occasionally, especially in the summer, when my windows are open, I hear the sound of the domestic alarms triggering for a few seconds and then being silenced. I am re-assured that these systems are working. If there was a fire several floors beneath me that got out of control prior to the fire service being called, or indeed subsequent to them being called, what would I expect to happen? I would reasonably expect to be informed if there was a real emergency so that I can make the decision to stay put or evacuate. I sometimes hear a domestic alarm going off in an apartment a couple of storeys below me at about 11.30PM on a Friday night. Usually this alarm stops within a few minutes but one evening it carries on and is still going 30 minutes later. I go to the balcony and notice smoke coming from a balcony window below. At just about the same time I hear the sound of what I think is a fire engine siren. Flames are now emanating from the affected apartment. I then start to hear what can only be other apartment alarms triggering. I have heard no communal alarm sound so I stay put as per the notices in the corridors. The person from the emergency services who I have just phoned tells me the same. Another 30 minutes have gone by, I am now panicking as for some reason smoke has entered the corridor outside my flat. I go to the window, which I have now shut due to the smoke, and notice that the fire engine cannot get anywhere near the building due to parked vehicles. There are lots of people running around at ground floor level and a small crowd is gathering. I make the decision to leave, despite the fact that all the advice has been to stay put. Luckily, there is as yet very little smoke in the staircase. I meet a fireman with breathing apparatus coming up the stairs, panting heavily. He tells me to get out quickly. I don't need any more persuading and do so as he proceeds to knock on every door he can to get people out. I wonder why he is doing that? I wonder what happened to the fire alarm? Was it faulty? The short answer is that there was no fire alarm. There didn't need to be one according to all the regulations and guidance in force. The smoke detectors I thought were part of the fire alarm system are in fact smoke vent activation detectors. The reason there is smoke throughout the building was they had all been installed incorrectly. The control panel in the entrance hall is for the protection of the concierge and staff working there, as are the detectors and sounders in the basement car park and other areas normally frequented by the staff - but not the apartment escape staircase and corridors. Why would there be? It's supposed to be completely fire sterile and you don't want to panic the residents into evacuating when there is no need. And, let's face it, nobody would take any notice of the fire alarm, it would be a waste of time. As for the fireman attempting to run up the stairs with all his gear on, he had no choice since there was no way of signalling an alarm to the residents since there was no fire alarm. The reason they were not putting the fire out with their hoses is not only could they not get anywhere near the building with their fire appliance, but the dry riser had more holes in it than a Swiss cheese as it had been used as a satellite TV cable conduit for all north and west facing apartments!. I wonder how long it would take them to call on 200 apartments? In general, there is a substantial objection to the idea of a fire alarm system being used that runs through all of the regulatory/standards making bodies. It is as if the Stay Put policy is in fact the Holy Grail and you cannot question it. The reasons for this are mainly historic, going back to CP3 and other reasons identified previously in this article. In the main these can be crystallised into fear of misuse, fear of vandalism and fear of unnecessary evacuation of all residents.These reasons are effectively the 'Holy Grail'. Surely it is about time the validity of a Stay Put Strategy and possible alternatives are properly discussed. The reasoning behind not putting some form of communal alarm system or even an interlinked domestic system in blocks of flats is the consequence of what was not available using 1970's technology and is simply out of date. The probable answer is just, with the caveat "providing all the aforementioned safeguards are in place and adequately policed on a regular basis". In the UK this simply does NOT happen. Hence Grenfell, Lakanal and the like. (b) Stay Put due to having no information at all. Any sensible reasonable person would surely answer (a). In fact, I would go further and say it is a basic human right to be informed. To stay put or not to stay put, that was the question! This article appeared in the June 2018 edition of Fire Safety Matters magazine. C-TEC is the UK's largest independent manufacturer of fire detection and alarm systems, call systems and hearing loop systems trading in over 60 countries across the globe.